I have been receiving a few calls from frantic customers who have been doing renovations on their home and have come across termites. 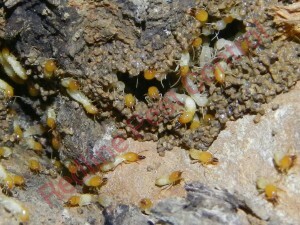 From what it appears to be that the Hills area has been hit hard with termites this year especially Castle Hill. It is essential to always have a termite inspection every 12 months to avoid the disappointment of repairing or losing your home to Termites. If you are in a more bushy area it is recommended to have a termite Inspection every 6 months. It is important to know whether the home you have bought has had a termite treatment set in place that way if you’re home has not had a termite treatment put in place you can arrange for a qualified pest technician to come out and provide you with a termite prevention Barrier. 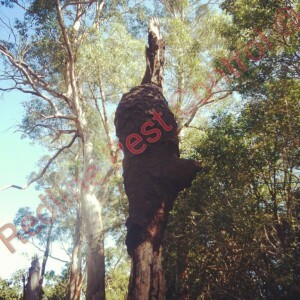 Redline Pest Control is the leading expert in termite control for Castle Hill and Sydney. Termites Castle HIll Call us today. Each technician that Redline Pest Control hires has gone through extensive courses on both termites and how to treat termites effectively. I often get to speak to our customers on a day-to-day basis and find out what their concerns are. Speaking with Mrs Wong from Castle Hill Who had active termites nestled in a tree in the backyard wasn’t aware that by Australian standards it is recommended that she has a termite inspection done on her home every 12 months. Mrs Wong was shocked to find out that if she had extensive damage done to her home by termites that her insurance company would not fix any termite damage done to her home. Luckily for Mrs Wong she had caught the termites before the termites have a chance to take up residency in her home and cause extensive damage. What are some of the signs you can look out for when It comes to termites? Mud particles protruding through the gyprock fibro or any other timbers in or around your home. The paint or plaster on your walls or ceiling blistering. Mud tunnels which can be up the wall in your subfloor and any other foundation on your home. My tunnels are created by termite faeces. Sagging floors or ceilings. Hollowing of timbers. Power failure as termites chewed through electrical wires. What should you do if you have found termites in your home or on your property? First and foremost do not disturb the termites as by disturbing the termites will cause them to move to a new location. Do not spray the termites with any store or product nor pour any other chemical on to the termites as this will only kill the termites which are there and will not kill the colony. Redline Pest Control Will always inspect identify and treat termites accordingly to the Australian standards.